Out of all the states in America, why should you choose Colorado? Colorado offers many outdoor activities, animals to learn about, fresh air, and breathtaking views. 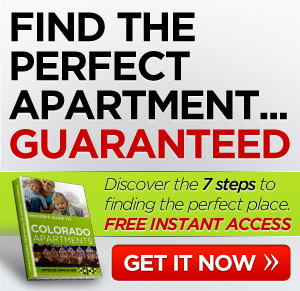 Apartments in Colorado are the perfect place to live to gain access to these wonderful features. Astronomy at Fossil Creek Reservoir Regional Open Space – Enjoy a free night of star-gazing and a tour of the sky by a volunteer from the Northern Colorado Astronomical Society in Fort Collins. Skate Parks – Skateboards, roller blades, scooters, and bikes are all welcome at Colorado’s skate parks. These parks feature exciting jumps and bowls for anyone who loves extreme sports and are found across the State. Spring Break at Bobcat Ridge Natural Area – Taking place during Spring Break, this event offers a family friendly environment to enjoy different pioneer sites. It is completely free and does not require registration. Denver Summer Festivals – Every summer, Denver comes alive with great festivals for every type of person. The Cherry Creek Arts Festival and the Colorado Renaissance Festival are some of the exciting festivals that take place there. Broomfield Days – The fun never stops with the Broomfield Days Parade, the golf tournament, the pancake breakfast, the 5K run, and many concerts. Red Rocks Amphitheatre – Enjoy a variety of concerts in this outdoor amphitheater located just fifteen miles away from Denver. The natural acoustics produced by the beautiful red rocks gives every concert a little something extra. Outdoor movies are also shown here. Colorado gives you an opportunity of a lifetime to learn about all the exciting animals native to Colorado. Take a guided tour, visit a zoo, or just view the animals on a hike. Eagle Watch at Fossil Creek Reservoir Regional Open Space – A free program, Eagle Watch helps hikers learn about the majestic Eagles in the area. A volunteer Master Naturalist leads the way to the viewing area and provides the information and viewing scopes. Zoos – The Denver Zoo is a great place to watch animals. Other zoos in Colorado include the Pueblo Zoo, the Cheyenne Mountain Zoo, and the Colorado Springs Zoo. Natural Habitat – View animals in their natural habitats by visiting the many state parks in Colorado. You may even see our national bird: the bald eagle. Apartments in Colorado can offer beautiful views from the windows, doors, and balconies, allowing you to enjoy the scenery without even leaving your home. Plus, a quick trip outside can give you even more to look at. Outdoor Hiking Trails – Colorado is right at home in the Rocky Mountains which offers scenic hikes, and challenging adventures. 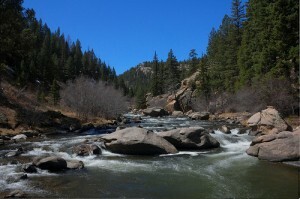 Castlewood Canyon State Park offers scenic hikes that are all less than two miles long. Some hikes lead right along Cherry Creek which adds a sweet smell to the air. The Rocky Mountain National Park has short hikes to three different lakes. State Parks – Colorado has many state parks for residents to visit. These parks offer sites that cannot be seen anywhere else. 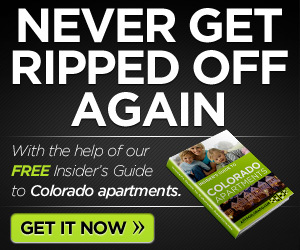 Apartments in Colorado offer a fresh look at life. With the Rocky Mountains as a backdrop to the daily grind, even going to work will feel like a vacation.